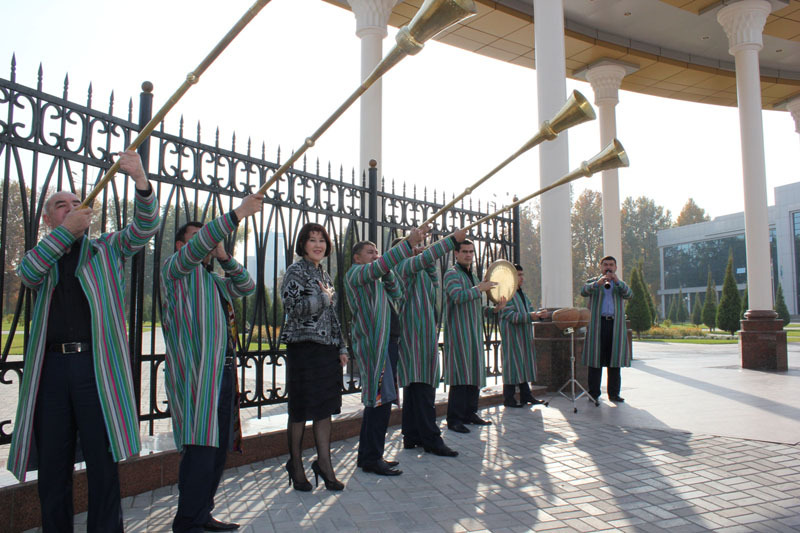 Arrival in Tashkent. You will be met by our representative at the airport and will be transferred to the hotel. Early morning transfer to the airport to take a flight to Urgench. Upon arrival you will be met and will be transferred to legendary Khiva, one of the popular World Heritage Sites of the Silk Road. Accommodation. 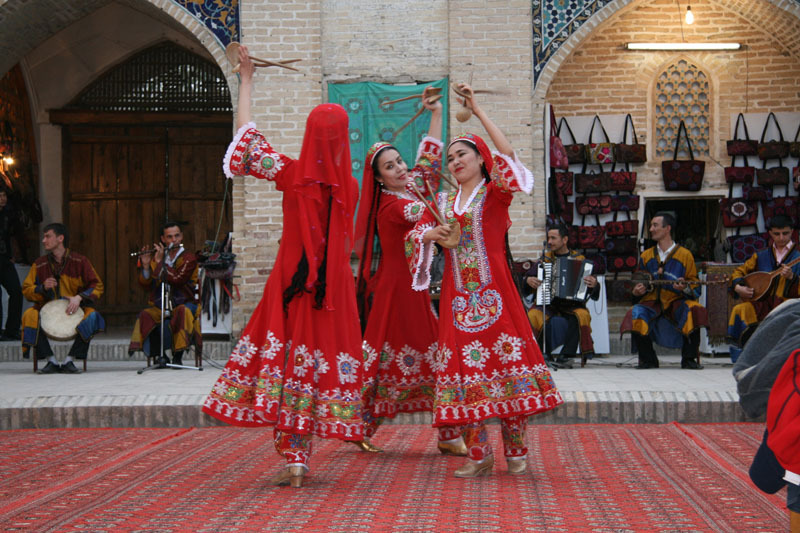 Discover fascinating Khiva. 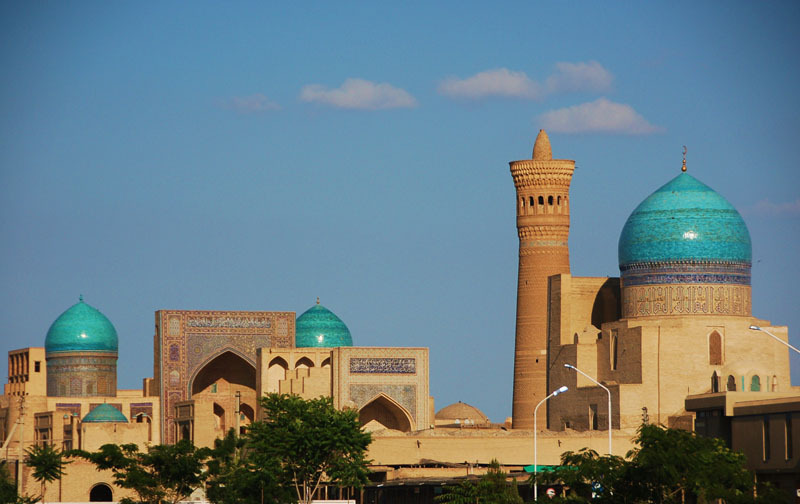 Khiva was the former capital of the Khorezm Khanate and legend says that it was founded by Shem, the son of Noah. Excursion in Ichan Kala (Inner Old City), surrounded by high walls of air-dried bricks and decorated with delicate majolica tile: delight in the Ata –Darvaza (West Gate, XVII – XVIII c.)Dinner. 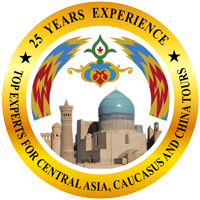 We shall continue our sightseeing tour with Kalta Minar (XIX c.), Medreseh Mohammad Amin (XIX c.), Kunya Ark (XVII-XIX c.), Pahlavan Mahmud Mausoleum (XVIII-XIX c) with proverbs embossed on its tiles, Medreseh Khodja Islam with minaret, Tash Hauli Palace and harem (XIX c.), Karavan Saray (XIX c.) and Juma Mosque (XI-XII c.) with its 200 wooden pillars. Dinner panoramic view of Khiva on moonlight. Sightseeing tour: Visit the Blue Mosque and Independence Park. Drive to Nissa and explore the ancient ruined capital of the Parthians. Discover the unique fortresses, citadel, temples and tombs (III Century BC), the National Museum of History and Ethnography all set against the Kopet Dag mountains in the background. 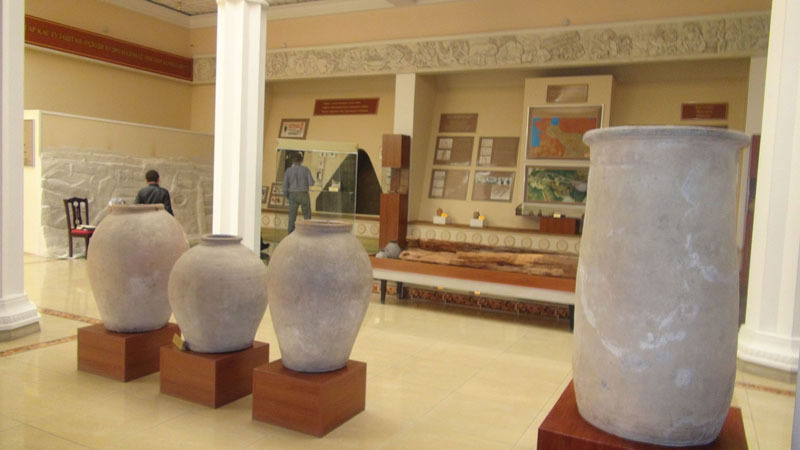 The museum contains impressive displays of archaeological finds from sites excavated in the oasis and an informative and attractive display of fabulous Turkmen carpets, Turkmen costumes and domestic equipment. Dinner. 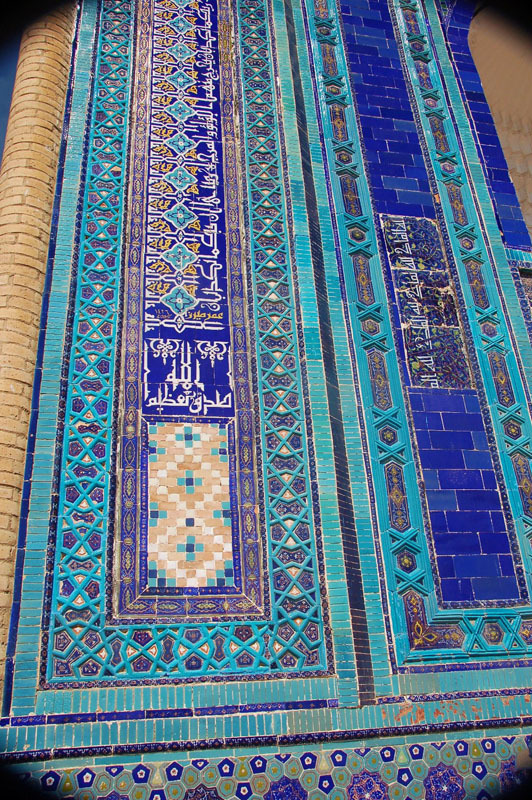 Sightseeing tour of the Labi Khaus Complex, heart of legendary Bukhara city. 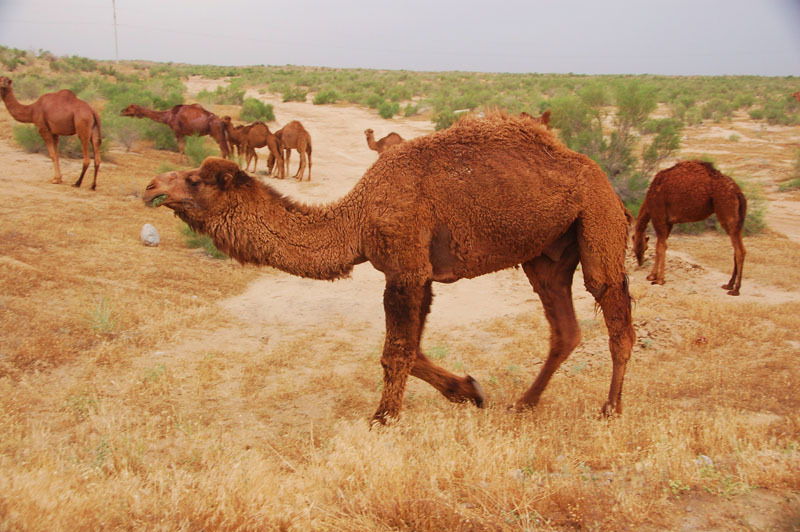 Explore the serene desert architecture of Bukhara at the Nadir Divan Begi Madreseh, Kukaldash Medreseh, Khanaka Nadir Divan Begi (XVI-XVII c.), visit the Jewish quarter and ancient Synagogue. The explore Magoki Attari Mosque (XII-XVI c.), the extensive trade domes and markets of the bazaar (XVI c.), the beautiful Poi–Kalon Complex with its legendary minaret (XII c.), Mosque Kalon and Miri Arab Medreseh (XVI c.). Dinner with folk-show in Medreseh Nodir Divan Begi. 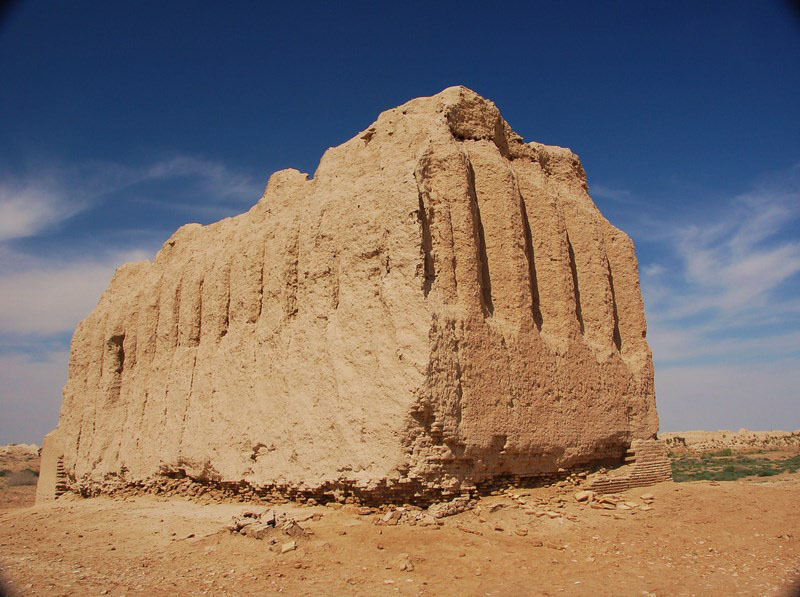 Explore ancient Bukhara Fortress-Ark (The winter residence of local Bukhara Amirs, I c.), Ismail Samani (IX c.) and Chashma- Ayub (XII-XVI c.) Mausoleums. 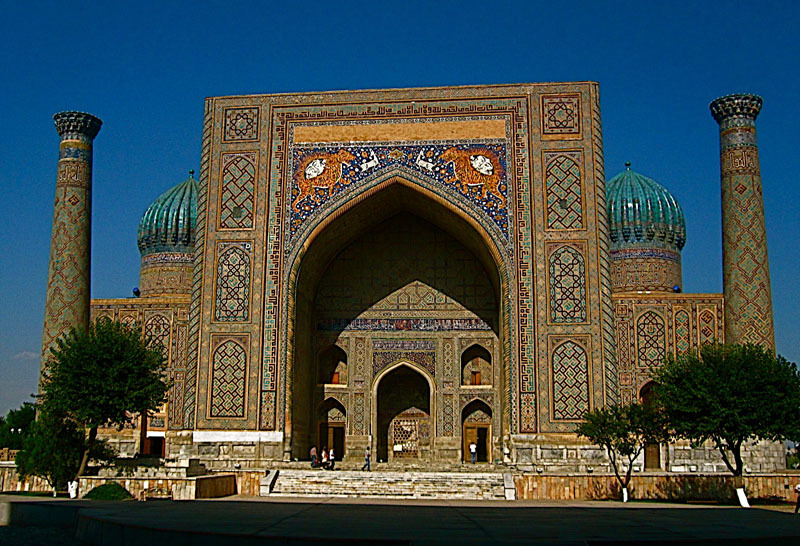 Discover world famous Registan and Guri Emir Mausoleums. Visit to Hebrew Prophet Daniel's Tomb which is next to a pleasant ancient water stream and contains a burial chamber around 18 meters long, the Jewish Quarter, and synagogue, located in the old section of Samarkand. 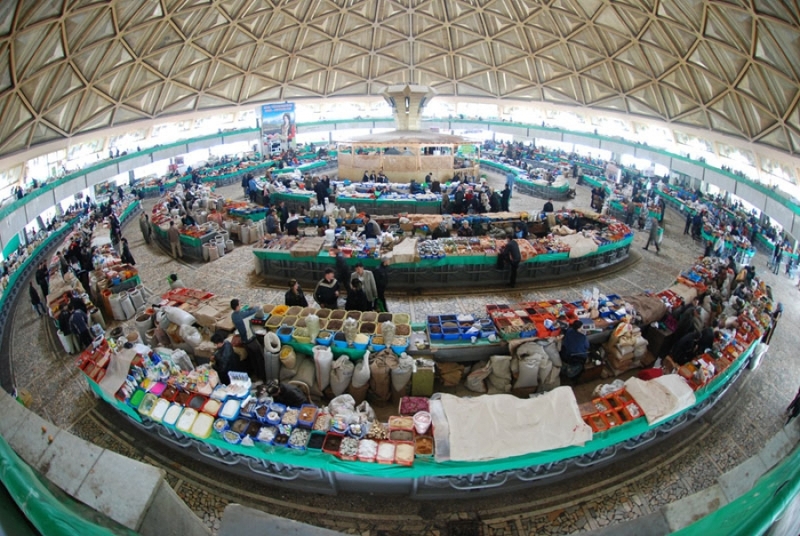 Samarkand bazaar. Lunch at the hotel. 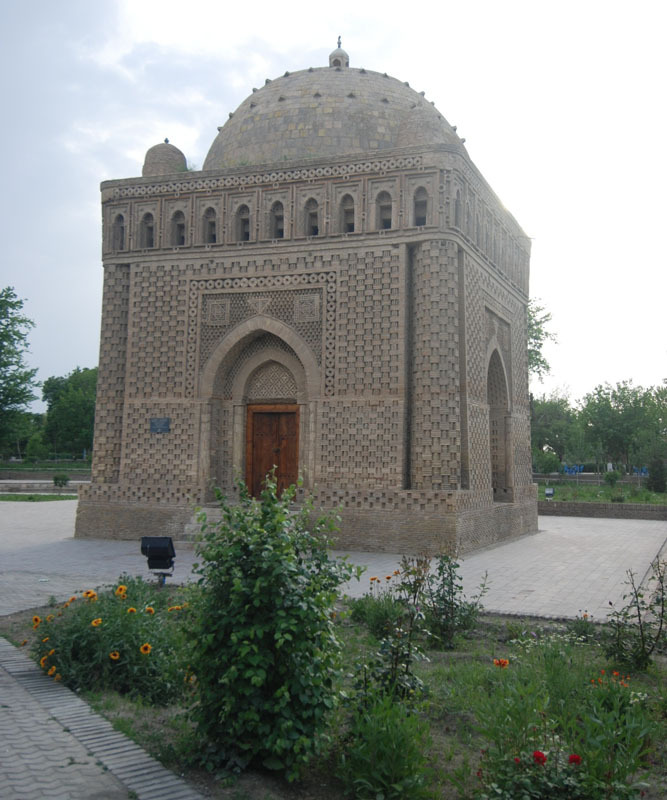 Continue sightseeing: Shahi Zinda Ensemble – ancient necropolis (IX,XIV,XIX c.), Bibi Khanum Complex ( the complex was build in honor of the wife of Amur Temur in the fourteenth century) and Guri Emir Mausoleum (XIV century). Wine Tasting at the Khorenko winery. Dinner. 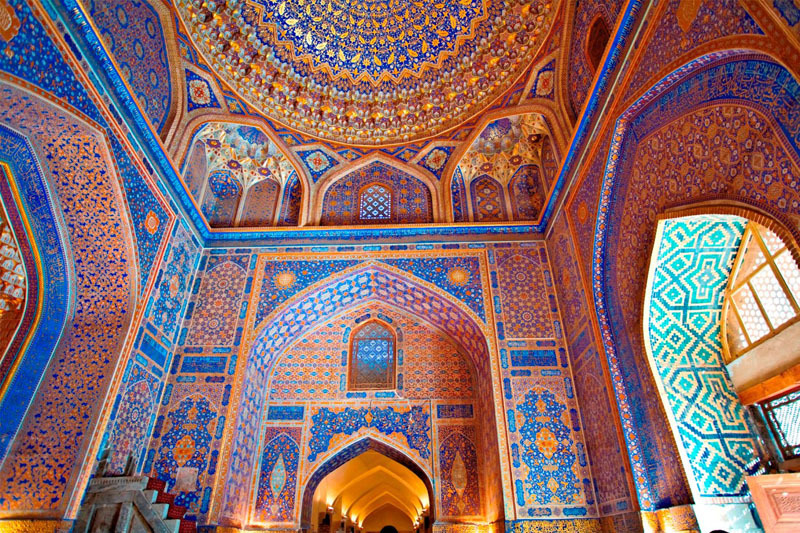 Photo opportunities from the highest point of Samarkand. Drive to Tajikistan. Stopping near the "gate" of Amur Temur where two mountain ranges meet. 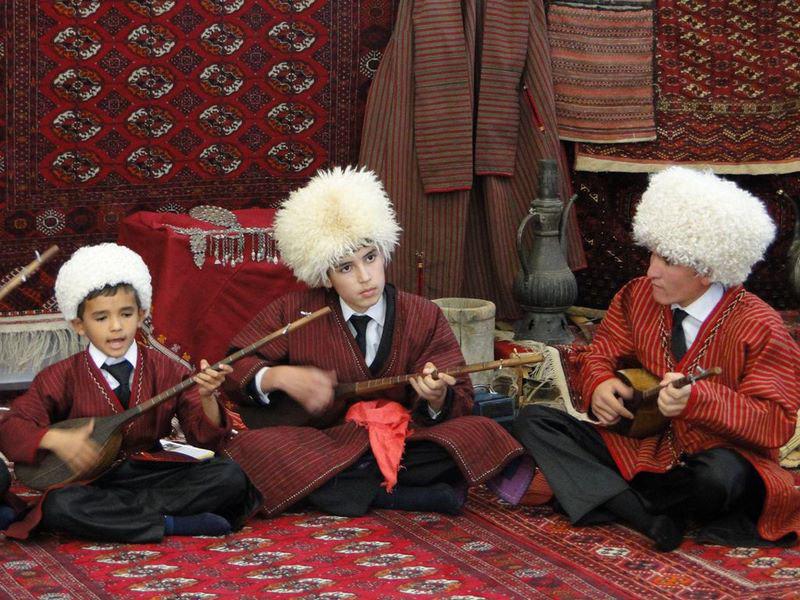 Opportunity to photograph two great mountain ranges of Uzbekistan and see the ancient river stream. Arrival in Uzbekistan – Tajikistan Border. Border formalities. 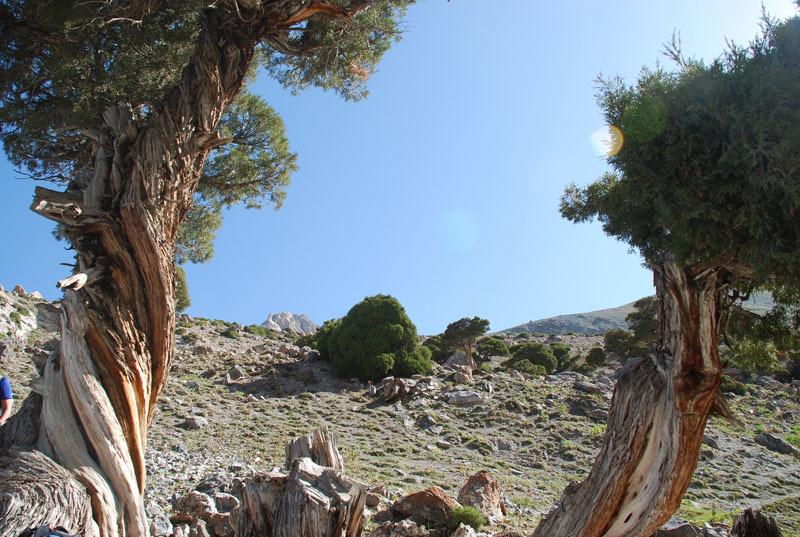 You will be met by our representatives in Tajikistan and will be transferred to your hotel in Khodjand, one of the most ancient cities of Tajikistan. Dinner in a charming restaurant. 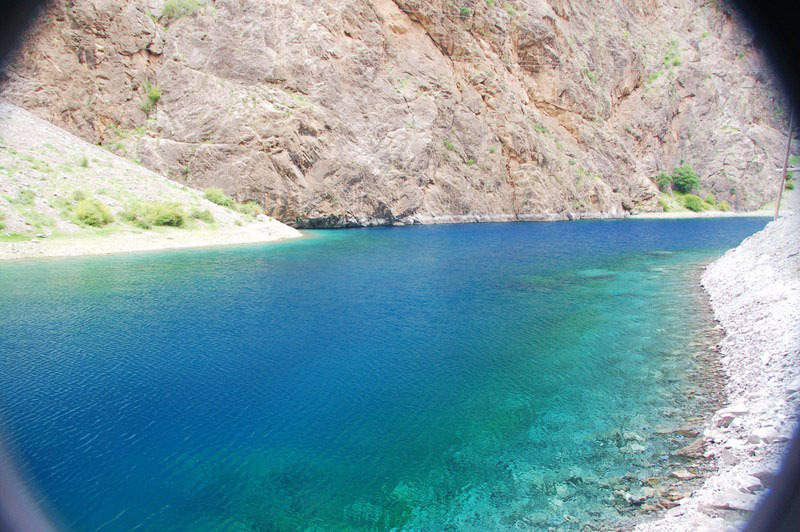 Sightseeing tour: Visit Temurmalik fortress, The museum of Archeology and History, fascinating Tajikistan lakes and ancient Silk Road Bazaar. Return to Tashkent. Border formalities. Farewell dinner in Tashkent. Early morning transfer to the International airport to take your flight to your home country.